Bring style to your modern suits without upsetting a strict office dress code by adding this embroidered floral tie in matte navy blue. 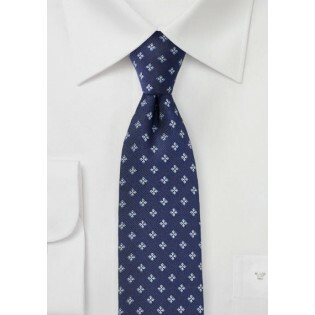 A great tie on top of light to medium blue dress shirts - either solid in color or with stripes or even checks. 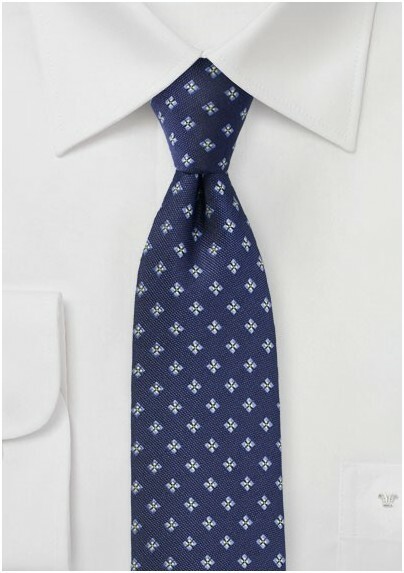 A great addition for any modern man who prefers his ties slimmer in cut. The 2.75 inch width at the widest part strikes a nice balance between modern and classic.